Meet Pumpkin! Sweet Pumpkin has been patiently waiting for a forever home for almost two years. Her back-story is awful – she was taken to a vet with a huge wound that had gone untreated and was festering with infection. 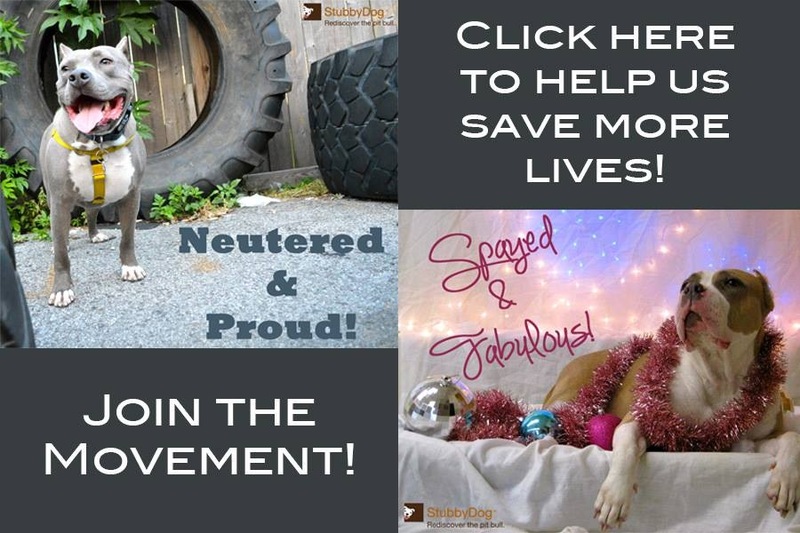 The owner decided that he had no more use for her, but the kind vet, seeing Pumpkin’s sparkle and spirit, pieced her back together and arranged for her placement with the Homeless Animals Rescue Team in Fairfax Station, Virginia. 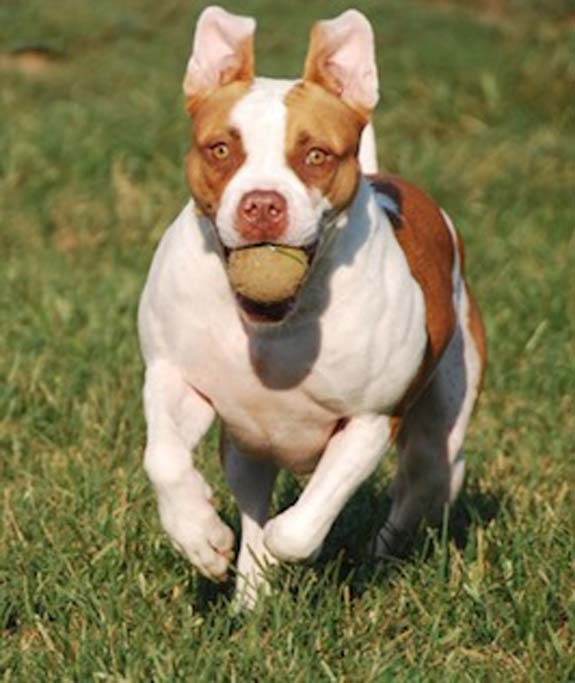 Once she was in good health, HART was able to arrange for Pumpkin to stay with The Chance Foundation and live at Country Club Kennels, where she has received training and plenty of exercise. She attends adoption events every month and everyone who meets her thinks she is wonderful, but she hasn’t been scooped up by a family she can call her own yet. She loves to snuggle, and even at events she can be see curled up in a lap or two! 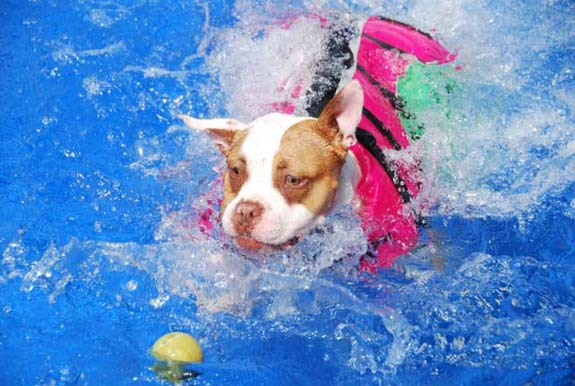 Pumpkin loves the water and is an excellent swimmer; she also loves to play fetch. She is hoping that this is her year, her season – she is, after all, named Pumpkin. And Thanksgiving? Goodness, this dog will show you gratitude the likes of which you have never seen! 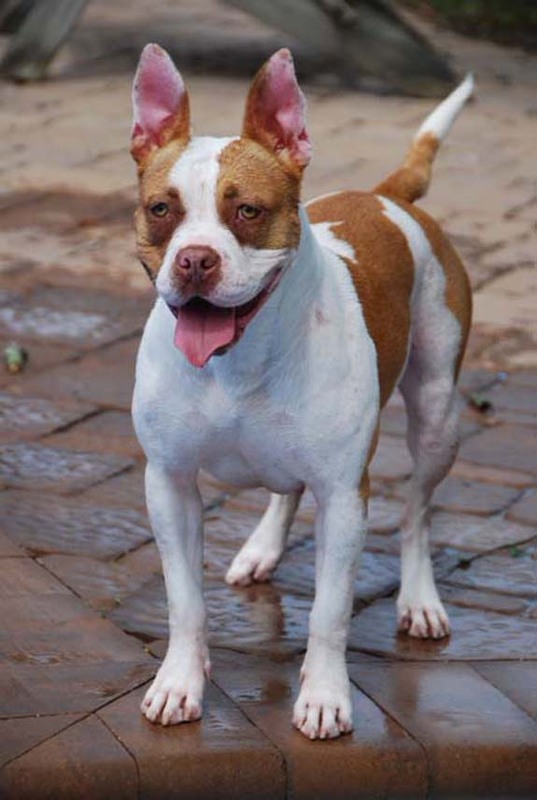 Pumpkin is strong but knows all her commands, including heel, and really hopes to belong to an experienced pit bull person who understands that she wants to be an only dog and, more importantly, accepts that about her. She is a ready-made family member: well-trained, healthy, and affectionate. In return for adoption, Pumpkin promises lifelong unconditional love, entertainment, friendship, and support. To learn more about Pumpkin, or to be considered for adoption, please contact Carla Nammack at 540-788-3559, or by email at [email protected]. Pumpkin currently lives in Catlett, Virginia.